On our first day with Iloilo blogger Mary Jane Cabrera, we ate lunch Ranchero. Hailing from General Santos City, Philippines, Ranchero is a family restaurant that recreates the spirit of home-grown Filipino Ranch farm cooking. I am not a fan of vegetables but Ranchero's Lumpiang Hubad tasted great! The dish was paired with crushed peanuts and a delectable sauce. Perfect combination. I have never eaten a Paella until last week. I am actually allergic to seafoods. I even manage to finish half of it and fortunately my allergies didn't act up. 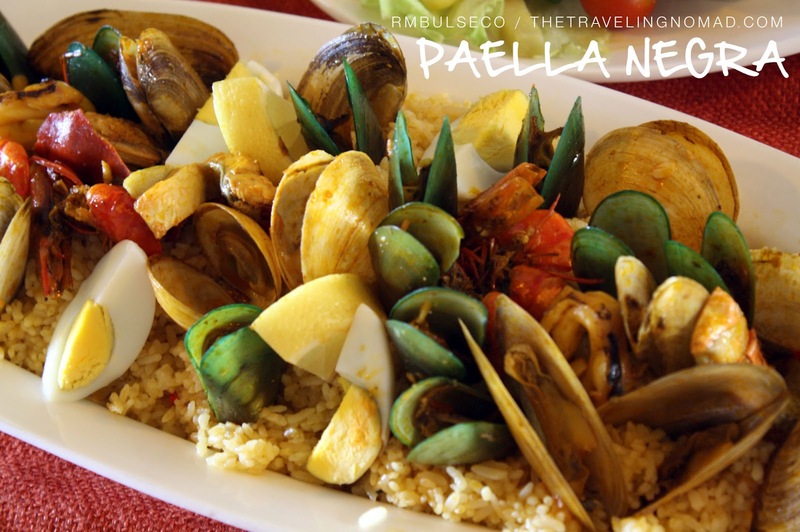 For seafood lovers, I highly recommend Ranchero's Paella Negra! 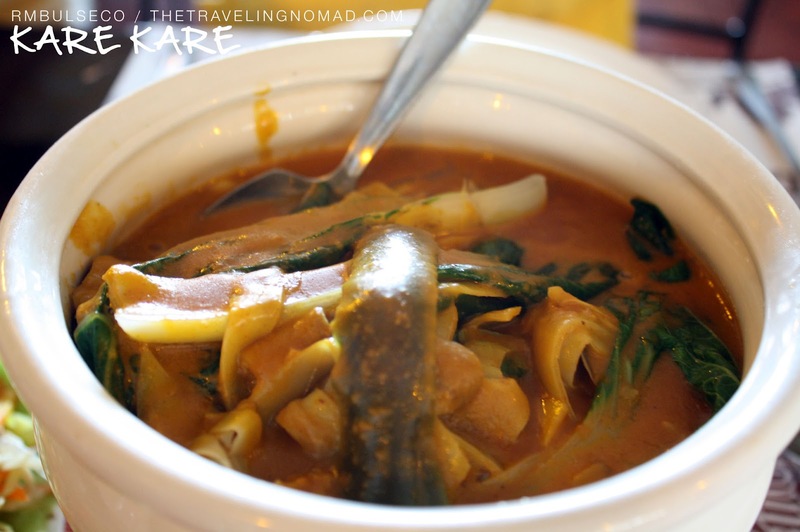 Kare-kare is a Filipino stew made from peanut sauce with a variety of vegetables, stewed oxtail and beef. Paired with bagoong (fish paste), this meal is surely one of the most delectable Filipino dishes. Baby back ribs is Ranchero's specialty. The meat was tender and delicious, even without the sauce! Don't worry, the serving of their baby back ribs was biiiiiggggg. And for our dessert, we ate Suman sa Lihiya. 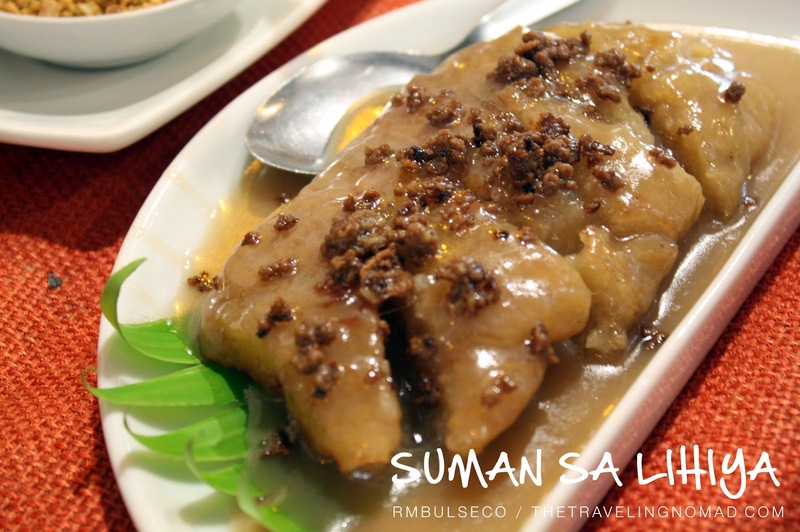 It's a one-of-a-kind suman (native rice cake) and a must-try dish here in Ranchero. Ranchero is one of the most sought steak houses here in Davao City. In fact, Vice Mayor Rodrigo Duterte goes there regularly and order his favorite dish - sizzling kaldereta adobo. Crew members are clad in cowboy attires, creating a Wild Wild West ambience in the restaurant. Prices range at about Php 250 to 400 ($5.00 to 8.50). Might be a bit pricey to some, but it's really worth it. Families will love the food as well as the place because of its homey feel. Ranchero is located at 3rd floor Roof Garden, Abreeza Ayala Mall. Ranchero is just one of the gajillion reasons why Davao is a perfect place for a gastronomic adventure! 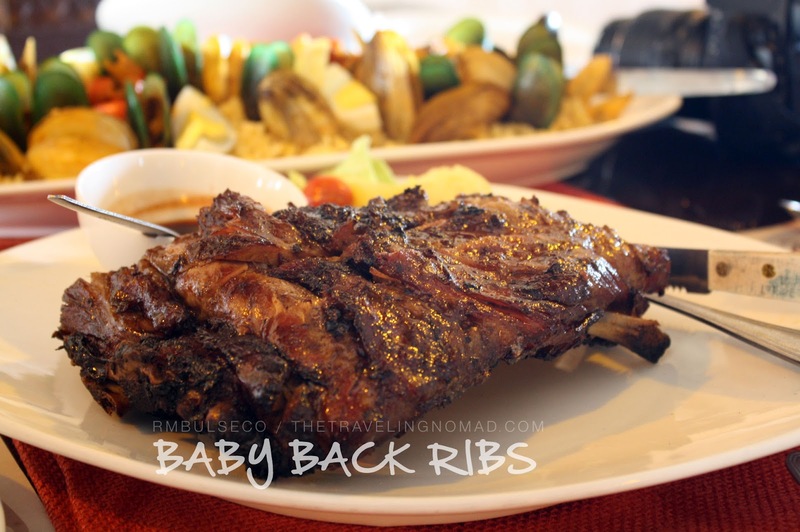 Ranchero's baby back ribs is exceptional! My favourite! Awts! Haven't tried their sinigang na hipon! 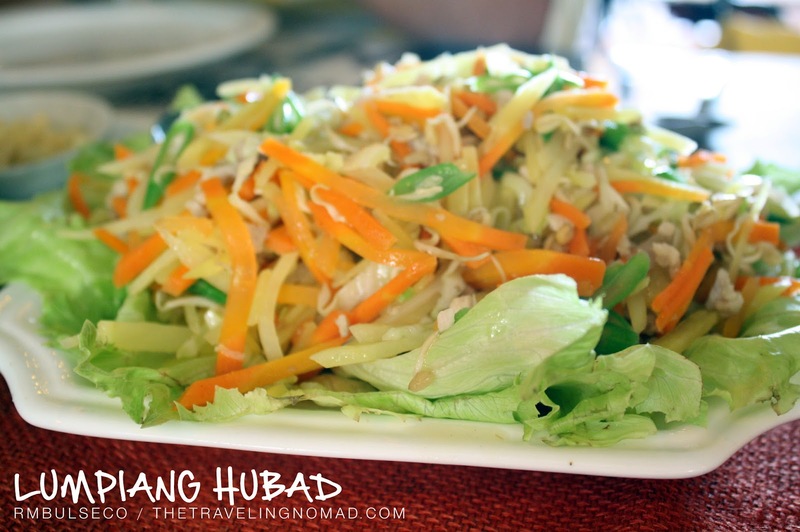 Mouth-watering post...time to visit Davao on my next visit in the Philippines. Huhuhu.Food looks really good! !Makes me wanna go out and eat something like that. wondering if I can submit your website? I'm trying to grow my directory slowly by hand so that it maintains top quality. I will make sure and put your blog in the best category and I'll also use, "Blogger: The Geek Travels" as your anchor text. my directory slowly by hand so that it retains quality.